This is a patient who presented with thumb pain. The patients thumb was bent back while playing basketball. Frontal and lateral radiographs of the thumb were obtained. 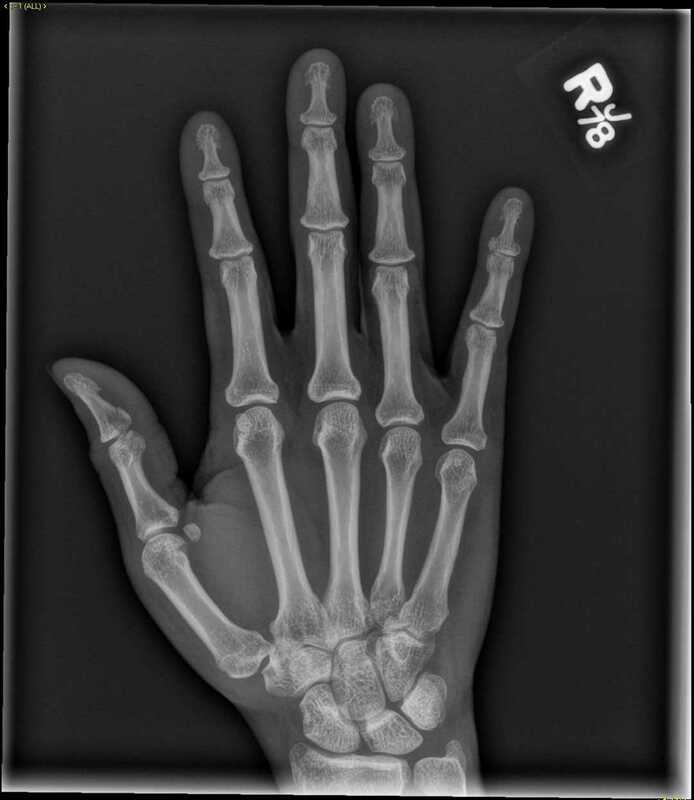 The frontal radiograph does not demonstrate any signficant abnormality. 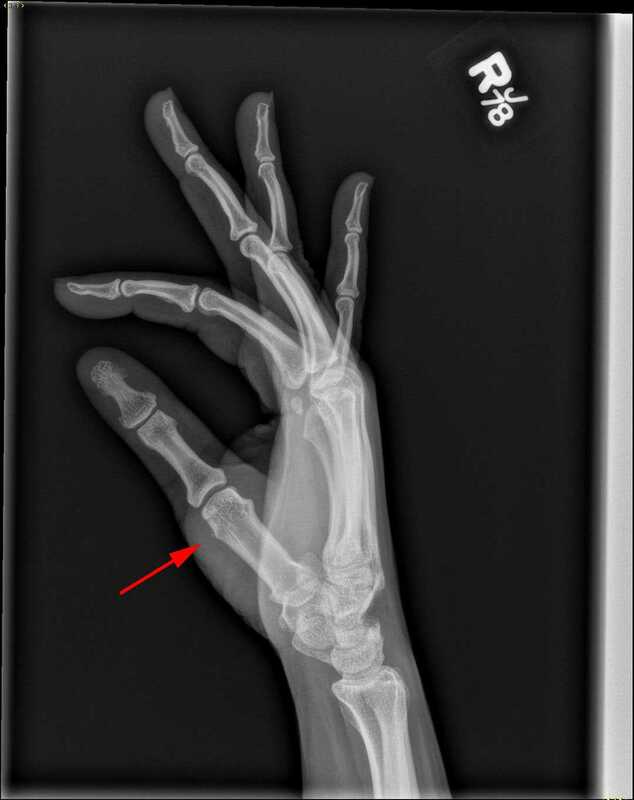 Lateral radiograph of the thumb demonstrates a subtle 2 mm osseous fragment along the radial aspect of the thumb metacarpal head as indicated by the red arrow. The fragment demonstrates no evidence of cortication to suggest that this is chronic. This fragment represents an acute fracture. Specifically, this is an avulsion fracture of the metacarpal attachement of the radial collateral ligament of the metacarpophalangeal joint.